When you start on your journey of selecting the top biological or holistic dentist in the USA, its best to start with the source, IAOMT.Org which is considered the global professional body of knowledge and professional organization for all things holistic dentistry. First, you need you understand that IAOMT membership doesn’t cost anything for any dentist and is essentially meaningless in terms of their training or level of biological dentistry. However, the real measures of their success begin at SMART Certification – which is for the very initial stages of becoming a holistic dentist and learning about the neurotoxic element of mercury and how it leaches into the body from toxic amalgam fillings. SMART Certification takes 6-8 months on average, and it requires that a dentist completes course work and can successfully take the academic test. The next level, accreditation by the IOAMT is at least a year long process, with a minimum of 2 conferences to attend and goes far beyond the written academic test. The accreditation advances into mandatory oral testing by the Masters and Fellows of the IAOMT and of course, the most important (and discerning) test is the hands on mercury removal or SAFE amalgam removal in front a panel of judges. Every detail must be accounted for and displayed with mastery, otherwise, a dentist will not pass the hands-on-portion of their IAOMT accreditation which will earn them the A in front of their IAOMT letters. Like Dr. Yuriy May, who is both SMART Certified for Safe Amalgam Removal and Accredited by the IAOMT, dentists can now use the letters AIAOMT behind their name as a professional certification. Additional levels include Fellow and Master designations, and typically delineate between more generational biological dentists (read: older) who tend to practice less hours treating patient and more hours working with colleagues on research, teaching at universities and writing books or research. Master level designations are almost exclusively non-practicing dentists that work mainly on research projects and publishing. What is the IDEAL level of IAOMT certification of a top holistic dentist? Short Answer: Find a dentist who is both Accredited and SMART Certified for a top holistic dentist whom you can trust for optimal health. In our opinion, the ideal level is the SMART Certification and Accredited IAOMT levels together. The rationale is anyone who is only SMART Certified doesn’t understand the nuance of root canal toxicity and dangers of leaving root canals in the body. 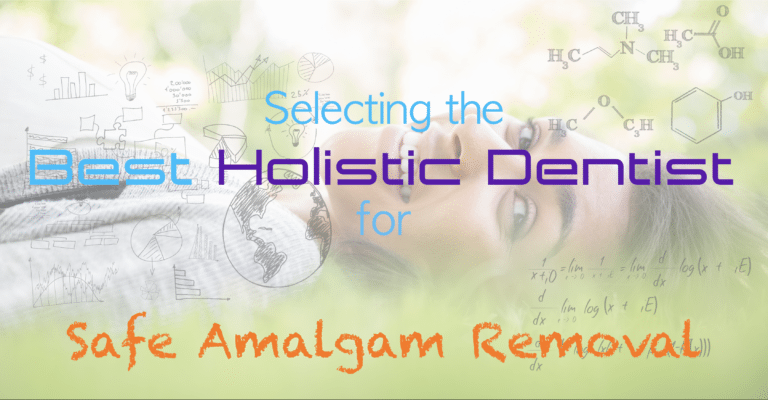 They also lack the knowledge to be a true biological dentist as they haven’t undergone the full IAOMT program nor have they proven their skills with an oral exam or most importantly, the HANDS ON SKILL test of how to actually perform safe amalgam removal with the utmost stringency and safety. This is the reason we believe the IAOMT Accreditation is the most important and necessary display of biological dentistry proficiency and knowledge. In additional, we find that most Fellow and Masters tend the skew older – as in 65+ as we find they practice less hours with patients (20 hours a week or less); and therefore appear semi-retired from patient practice. Due to the extra non-patient time these devout and academically inclined individuals can dedicate themselves to mostly research while they manage younger dental associates working for them and doing the day to day dentistry for patients. While generally we think of an “older” clinician as a reflection more experience and skill, it also means potentially less progressive and not as quick to adopt new technologies and methods of treating patients. IAOMT accredited dentist like Dr. May are young enough to grasp information extremely quickly, be at the cutting edge of all dental technology, extrapolate which dental advances and new materials are in alignment with biological dentistry, and are in the heart of treating patients all day every day while studying the wisdom from the Fellows and Masters. This creates what we would consider the “elites” of practicing dental professionals in the niche biological dentistry world of holistic dentists. These are typically dentists in their mid 30’s to late 40’s who tend to be talented, studious, progressive, innovative and most importantly, have incredible hand skills for dental procedures whether is root canal extractions, zirconia dental implants, cavitation dental surgery or safe amalgam removal.